Fighting cardiotoxicity has been a constant challenge in the pharmaceutical industry. This is due to the careful balance of trying to reduce heart damage, while also minimizing additional induced toxicity to the heart. Many approved cardiac drugs have shown risks of being withdrawn from the market due to their harmful side effects that stem from high toxicity levels, such as Digitoxin and Digoxin. These two drugs are used in the treatment of various heart conditions but exhibit toxic effects, such as anorexia, nausea, confusion and cardiac arrhythmias. Drug candidates have struggled to address cardiotoxicity inadequacies during pre-clinical and clinical stages of development. The current process for toxicity testing largely revolves around the use of in vivo animal work. However, more studies are beginning to use human induced pluripotent stem cell-derived cardiomyocytes as a viable alternative for toxicity screening. Animal studies require more time and resources than stem cell testing because it lacks the reproducibility of reliable results shown in human models. Cardiomyocytes can be procured with a range of genotypes, which allows a direct comparison between genotypes and enables pre-screening for patients to identify potential negative side effects to drugs. 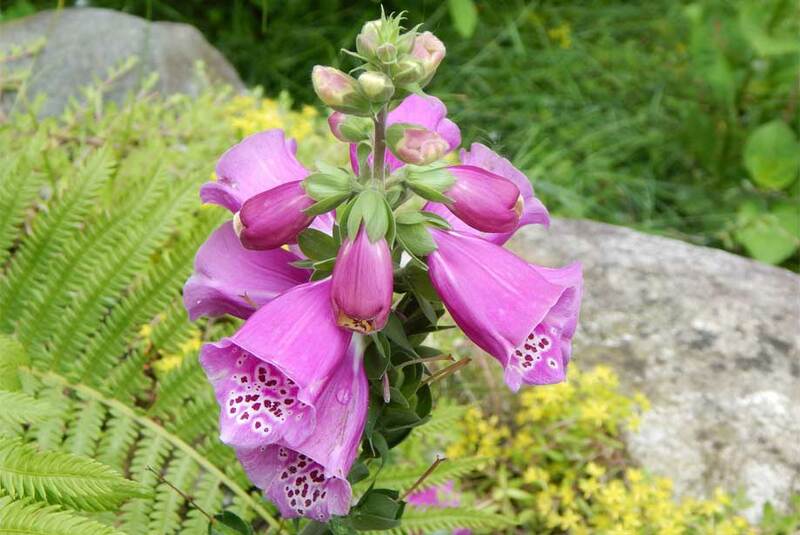 Digitalins are extracted from foxgloves (digitalis) flower. Induced pluripotent stem cells are laboratory-grown stem cells, which are most useful when combined with a high-throughput in vitro assay that can recognize cardiotoxicity. By using Enzo’s SCREEN-WELL® Cardiotoxicity Library, R.J. Kirby and colleagues from Sanford Burnham Preby Medical Discovery Institute developed a method to measure cardiotoxicity. Their methods have been validated by analyzing dose- and time-dependent changes in beat patterns of known pro-arrhythmic compounds. Coupled with the compounds included in the SCREEN-WELL® library, they were able to identify and rank compounds based on their pro-arrhythmic potential. A hit on a tested compound was defined as when the response parameter was greater than three standard deviations from the DMSO control, and also demonstrated an effect in more than one of the specified parameters. This type of compound screening is crucial in the early stages of drug development in order to determine the potential toxic effects of the drug. The SCREEN-WELL® Cardiotoxicity library consists of 130 compounds that showcase a variety of structurally and mechanistically different compound classes as well as non-toxic controls. Kirby and colleagues were able to identify 26 drugs that induced irregularities in heartbeats. A multi-parametric approach was implemented to create a ranking among the tested chemicals based on relative safety as it related to cardiotoxicity potential. By linking control compounds and beat patterns to the compounds’ cardiotoxicity potential, the authors of this study provided a novel approach to predicting their pro-arrhythmic effects, which can then be applied to pre-clinical cardiac assessment. R.J. Kirby, et al. Assessment of drug-induced arrhythmic risk using limit cycle and autocorrelation analysis of human iPSC-cardiomyocyte contractility. Toxicol Appl. Pharmacol. (2016) 305, 250. Highly sensitive ELISA kit for the detection of Arg8-Vasopressin in serum, plasma and tissue culture media. Rapid, easy-to-use ELISA kit to quantify 25(OH) Vitamin D for bone metabolism, nutrition, endocrinology, immunity and cancer. Most sensitive ELISA kit, enabling reduced input sample, for the quantification of human haptoglobin, a potent immunosuppressor and stimulator of angiogenesis. Ultrasensitive PGE2 ELISA kit for inflammation and eicosanoid research.